Always a great experience !! Highly recommend !! A must !! Astonishing staff! The older man at the front really knows how to find exactly what's knotted up and both massages those knots and works those areas with manipulated stretches. I don't believe I've had such in-depth help with any physical therapists or professional masseurs before. You shouldn't hesitate, frankly. It doesn't get better. I agree with one of the other reviewers when he said he was astonished at the price and quality delivered, and it's an hour or longer. No need to mortgage the house to get a deep, restorative massage. Also, for whatever reason, I feel extremely invigorated and a good sense of well-being after one of his massages. You think you're getting a foot massage, which you are, but you get a whole body massage with it. 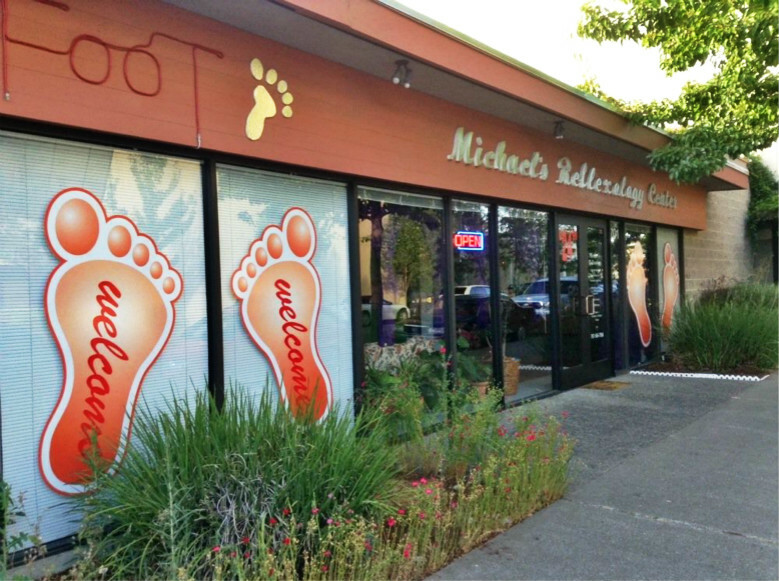 Absolutely the best "reflexology" massage in Santa Rosa. Not only worked on my feet, but it was basically a full body massage including head, hands for $25. Can't beat the price and the therapists were great! Extremely clean. Professional therapists. Peaceful and Relaxing. It's my go to place every Sunday afternoon. Went without an appointment and it wasn't a problem. I did leave them a $10. tip since it was so great and I felt that the regular $25. didn't fully compensate them for their hard work. I understand that during the week, they pay for parking. I would advise everyone to try this place. It's as good as it gets!!!! Wow! I am blown away. I have had a Couple massages here now and everyone has been really good an relaxing and worth every penny. Tonight the owner Michael massaged me for the first time and he is a highly skilled therapist. He is very nice. I felt and feel very comfortable with him and his staff. I am a massage therapist. 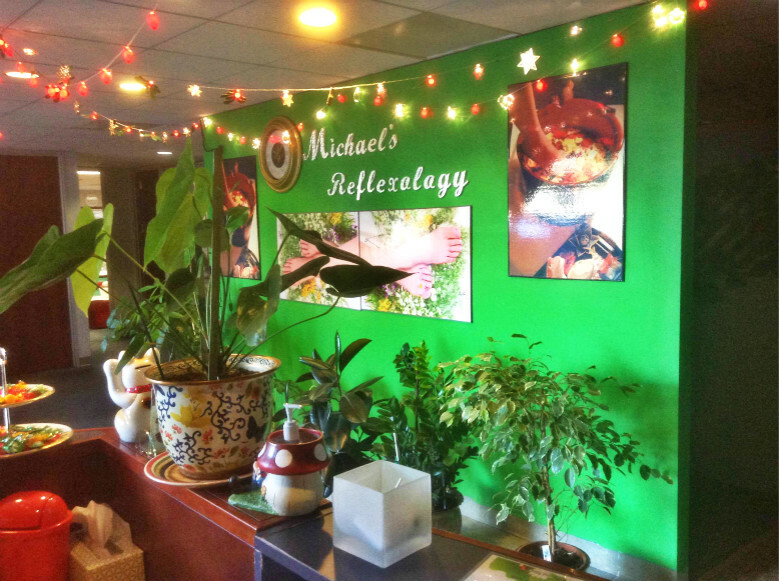 I have studied reflexology and Michael and his staff are exceptional. 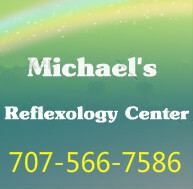 Michael is highly knowledgable of the pressure points which he obviously focuses on...amazing!!! I will be coming back for a full body for sure and frequenting this establishment. And about the decor and music. Honestly it's fine and doesn't distract from the objective, having the stress worked out. This place rocks. They do a combination of reflexology, Swedish strokes and stretching. I so enjoyed my visit here at Michael's today. It was a spur of the moment idea, called at 4:30 got in at 5:00 and I am so glad. 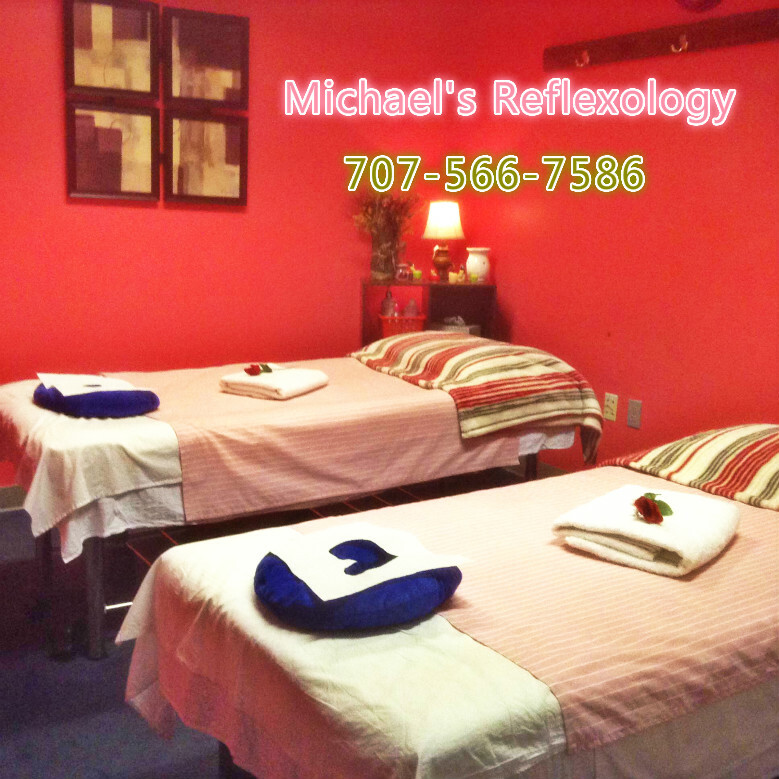 Very nice staff, Frank gave a great gentle yet firm massage, certainly pushed the tension out of my shoulders and back. The foot massage felt so good especially the pressure points around the balls of my feet and heels.. I will be back, soon . Thank you for a great first experience. This place was great. 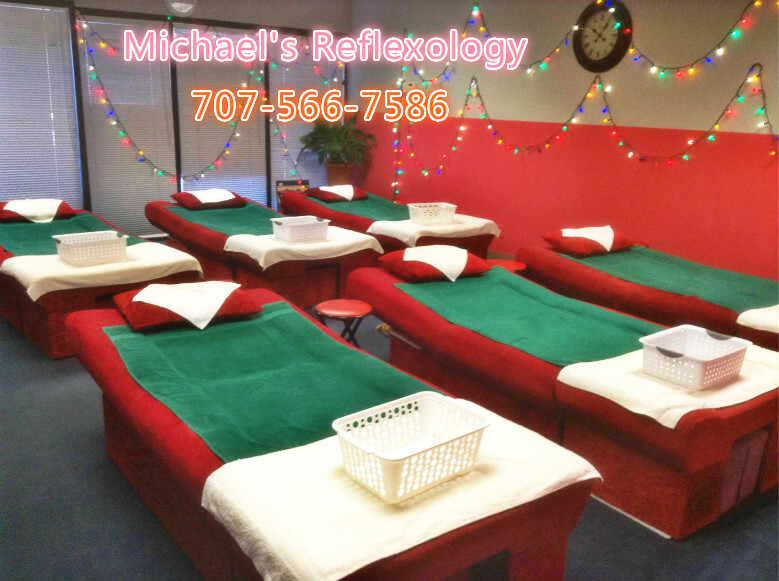 Called around 10am on a Sunday morning and was told that 11:30am would be a good time for my wife and I to enjoy a 1hr foot reflexology. Upon arrival we were greeted and escorted to a private area for a couples reflexology. 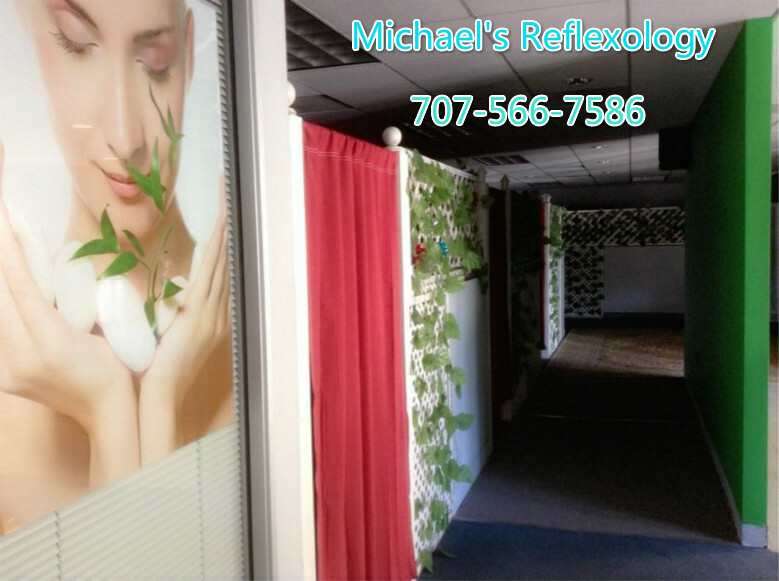 We both enjoyed our full hour of relaxation and will definitely return the next time we are visiting my in-laws in SR.
We have been going to Michael and Cindy for many years for massage, at both Ocean Spa & the newer location in downtown Santa Rosa. 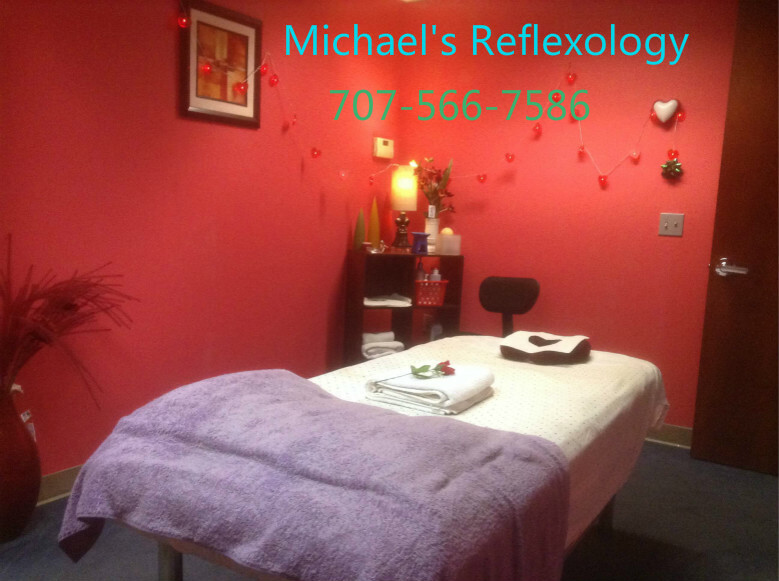 If you have deep tissue issues or severe chronic pain then Cindy or Michael are for you. Both have a caring nature and that strong intuitive healing touch that pushes the tension out of your body. My only complaint is that there have been times when a substitute therapist has been assigned despite our making appointments with specific therapists in advance. I attribute this to perhaps a language barrier and will say that whenever I am not satisfied Michael is sure to accommodate me in future appointments. Anytime I need a massage I come here! No wait and they get the job done! They have a punch card if your a regular like myself! Awesome! Loved my masseuse Jason. Oh my he worked me over great and the price was so reasonable. Will be back for sure! Go!!!! I have came to Michaels since they opened. I followed them here from the ocean day spa on fulton. 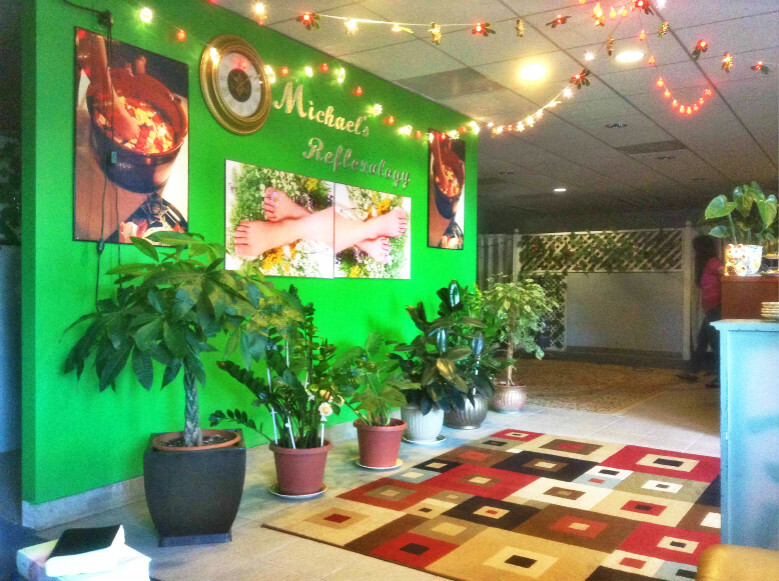 Ive tried many different reflexology spa & this one is hands down the best! I've probably came here over 10 times & have never been let down. Don't forget to tip! If your sore & need a massage this is the place!